New Delhi [India], Oct. 23 : Union Home Minister Rajnath Singh on Sunday offered his condolences to the heartbroken family of Border Security Force (BSF) jawan Gurnam Singh, who succumbed to his injuries last night after he was shot in cross-border firing, and asserted that the slain soldier had given a shining example of sheer bravery. "I am saddened by the demise of BSF jawan Gurnam Singh. He has given an example of bravery on the border and gave his life for the nation. I laud the sheer bravery and sacrifice of Gurnam Singh and offer my condolences to his grieving family," Rajnath said in a series of tweets. New Delhi [India], Oct. 23 : Union Home Minister Rajanth Singh will begin a three-day visit to Bahrain from today. During the visit, Singh will have bilateral talks with Bahrain's Interior Minister Lt. Gen. Sheikh Rashed bin Abdulla Al Khalifa and also interact with the Indian community. New Delhi [India], Oct. 8 : Hailing Union Home Minister Rajnath Singh's announcement that the border between India and Pakistan will be completely sealed by December 2018, Bharatiya Janata Party (BJP) national secretary Shrikant Sharma on Saturday said India is developing new ways to thwart infiltrations and the priority is to dismantle terrorism. "On our level, we are developing the fencing or the border with Pakistan in new ways to stop infiltration. In that direction, whatever options are on the table before our government and security forces, the government is working on all those options in the right direction. However, the priority is to dismantle terrorism," Sharma told ANI. New Delhi [India], Oct. 7 : Union Home Minister Rajnath Singh will on Friday kick off his two-day visit to western border districts of Jaisalmer and Barmer in Rajasthan. On October 8, the Union Home Minister will visit Munabao BOP in Barmer district and also interact with jawans there. New Delhi, Jan 14 : Union Home Minister Rajnath Singh formally handed over Resident Identity Card (RIC) readers to Navy Chief Admiral R.K. Dhowan and Vice Admiral Anurag G Thapliyal, Director General (Coast Guard) in the presence of Defence Minister Manohar Parrikar here on Wednesday. One of the measures to strengthen coastal security was the creation of National Population Registrar (NPR) in 3,331 coastal villages in nine maritime states and four UTs and issue of Resident Identity Cards (RIC). New Delhi, Dec 30 : Union Home Minister Rajnath Singh on Tuesday said the acquittal of Bharatiya Janata Party (BJP) president Amit Shah in the 2005 Sohrabuddin Sheikh encounter case vindicated the party's stand. "Extremely pleased to know that BJP national president Amit Shah has been given a clean chit by the special CBI court. The court's verdict vindicates our stand," tweeted Singh. Meanwhile, Union Transport Minister Nitin Gadkari too expressed his joy over the court's verdict. "I am extremely happy that Amit Shah has been acquitted. I always maintained this stand but the court made it clear today," said Gadkari. New Delhi, Dec 24 : In wake of the deadly attack by Bodo militants upon villagers in Assam, Union Home Minister Rajnath Singh will be visiting that state to hold a meeting with Chief Minister Tarun Gogoi and senior officers of the state government and unified command at Guwahati. Singh is also scheduled to hold a meeting the local administration, law enforcement agencies and local tribal leaders at Biswanath Chariali, District Sonitpur. On Tuesday, banned outfit National Democratic Front of Bodoland (NDFB) attacked innocent villagers, following which indefinite curfew has been imposed in five police station areas of Sonitpur district. Bhaderwah (Jammu and Kashmir), Nov 19 : Union Home Minister Rajnath Singh on Wednesday said fuel prices kept rising under the previous UPA regime, whereas under the incumbent BJP-led NDA, they have fallen consistently. Singh asked, "Isn't it true that there has hardly been any month which did not witness a hike in fuel prices during the previous government's rule? Isn't it true that for the first time, petrol and diesel prices are coming down every month after the new government came to power?" He was addressing a rally here in the run-up of state assembly elections to be held from November 25 in five phases. New Delhi, Oct 30 : Union Home Minister Rajnath Singh has approved a proposal to substantially enhance the compensation to civilian victims of communal, terrorist or Naxal violence from Rs. 3,00,000 to 5,00,000. 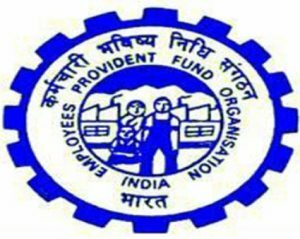 New Delhi : Subscribers to the retirement fund EPFO will get a minimum of Rs 1,000 a month from October 1 under Employees' Pension Scheme 1995 (EPS-95) as the government formally launched the programme Tuesday. The government will shell out an estimated Rs 1,200 crore to provide for this entitlement. According to EPFO estimates, around 32 lakh pensioners under the scheme, who get less than Rs 1,000 every month as pension, will benefit immediately. There are 49 lakh pensioners under the scheme and about 13 lakh get less than Rs 500 a month. New Delhi, Sep 4 : The Ministry of Home Affairs today issued a statement expressing grief over the loss of precious lives in Jammu and Kashmir due to floods and assured the state government that it would l provide all necessary help . Earlier in the day, Union Home Minister Rajnath Singh had a telephonic conversation with Chief Minister Omar Abdullah , who briefed him about the flood situation in the state. Rajnath Singh was also briefed about a bus with 50 passengers being washed away. 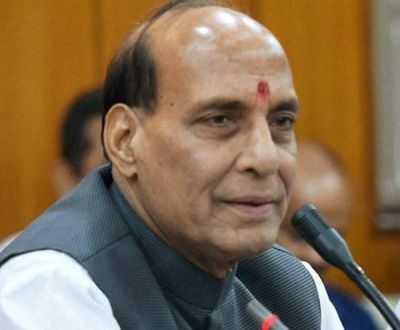 New Delhi : Home Minister Rajnath Singh will visit Nepal on September 18 and 19 to attend the SAARC Home Ministers' conference, during which he is likely to have a separate meeting with his Pakistani counterpart Chaudhry Nisar Ali Khan. During the visit, apart from attending the SAARC Home/ Interior Ministers' meet, Singh will have bilateral meetings with his counterparts of other SAARC member countries. The Home Minister is also likely to have a separate meeting with Nepal Deputy Prime Minister, who is also country's Home Minister, Bamdev Gautam, besides others on the sidelines of the SAARC convention, official sources said. New Delhi, Aug 14 : Union Home Minister Rajnath Singh, who was admitted to the All India Institute of Medical Sciences (AIIMS) yesterday evening over an intestinal issue, has been discharged from the hospital. "Rajnath had come for routine checkup . He had a pain in his abdomen, but there is no reason to worry as he is fine now and has been discharged from the hospital," said Union Health Minister Dr. Harshvardhan. New Delhi: India on Saturday said it will take back all its citizens, detained onboard a boat seized by Australia, but a decision on other nationals will be taken as per international law and convention after ascertaining their identity. A Home Ministry spokesperson said as per current policy, India will take back its own nationals, detained onboard a boat seized by the Australian authorities in the last week of June this year, provided the consular access clearly determines their origin. The meeting comes amidst the demand of the Aam Admi Party that the Delhi Assembly should be dissolved and fresh elections should be held. The Aam Aadmi Party (AAP) has alleged that the BJP is trying to form a government in the national capital. It has also alleged that the BJP was indulging in unethical practices and luring lawmakers to support it to form a government in Delhi. New Delhi, July 2 : The functioning of the policy planning division in the Ministry of Home Affairs was reviewed by Union Home Minister Rajnath Singh here today. Singh was apprised of the security arrangements for VVIPs/VIPs and desired that these security arrangements may be reviewed and suitably strengthened, wherever required. The Home Minister further directed that the security audit of vital installations, wherever due, may be carried out and additional forces deployed, if found necessary, so as to ensure that adequate security arrangements are in place for such installations. 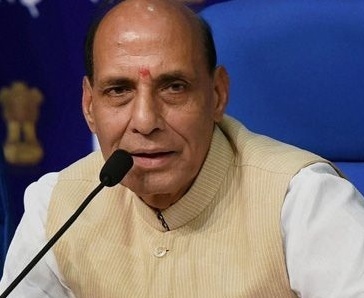 New Delhi, June 27 : Union Home Minister Rajnath Singh presided over a meeting of top officials of all Maoist-affected provinces in New Delhi on Friday, and discussed strategies to deal with rebel activities. He also assured the government's support in tackling the issue. Directors General of Police, chief secretaries of states and paramilitary chiefs attended the meeting. Minister of State for Home Kiren Rijiju was also present at the meeting. The meeting was aimed at chalking out plans to tackle Maoism and review rebel operations in the affected states.